SharkSpotter Initiative, Donate R10 to a great cause! With the festive season rapidly approaching the amount of bathers entering the water is increasing dramatically. For those of you who don’t know Shark Spotters is a pioneering shark safety programme that has attracted international and local attention because of the novel way it seeks to find a solution to potential conflicts between sharks and people. Like all good causes they need our help just as much as we rely on them. Please SMS ‘SHARK‘ to 38021 (R10 per sms) to help pay a spotters salary for a year. The more people that can get involved the more we can help out a fantastic cause. Over fishing is definitely having an adverse affect on our seas and fish populations, with Cray season opening things can get a lot worse as people will take more than the allowed quota or undersized crays. For us responsible divers, spearo’s and recreational crayfisher-men, please help us to find out what impact we are having on ocean life by filling in this online database. Please fill it out whether you caught anything or not.. It is our attempt as recreational divers and crayfishers to estimate the impact we have on the crayfish resource. Only if all of you participate can we get sufficient data that might give us a foot to stand on in the future. Any feedback or suggestions most welcome. For more information on the dates about the Crayfish season please go here. For a detailed map on the reserves, no take zones and where you are allowed to hunt crayfish go have a look here. For some additional info and a map on restricted areas please refer to the pamphlet below. For more information on the dates and what nots please go here. As you all know Cray season is back on, and what a time it is to go collect some of them crawly swimming critters. Remember having purely a spearfishing license will not cut the mustard guys you need to have a Crayfishing one as well. 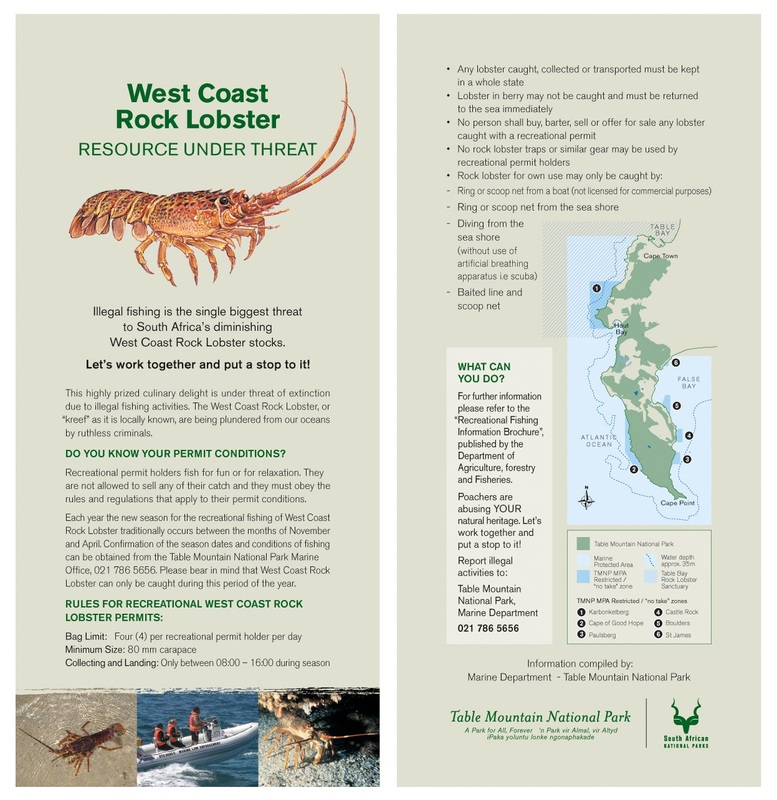 The Department of Agriculture, Forestry and Fisheries (DAFF) has announced the new recreational fishing season for West Coast Rock Lobster. 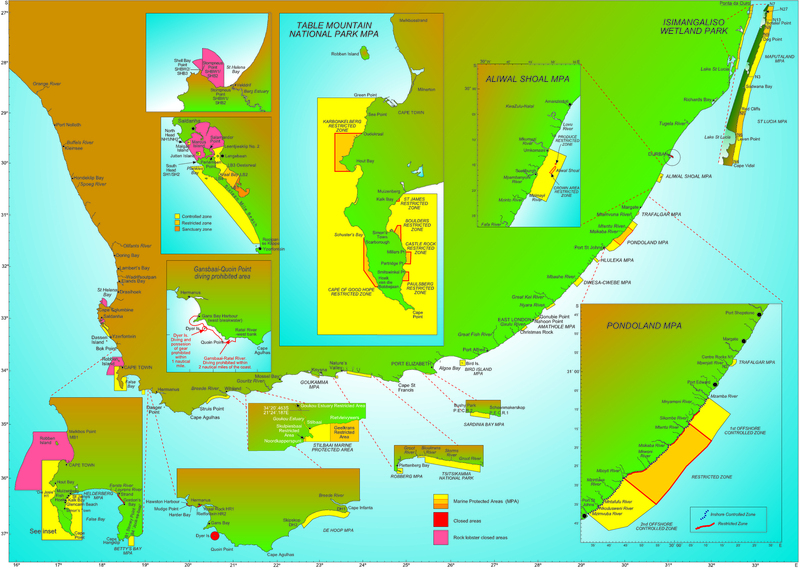 The season for recreational fishing of west coast rock lobster will open on the 15th November 2012 and close on the 1st of April 2013. The bag limit has been set at four (4) west coast rock lobsters per person per day and the size restriction is 80mm carapace length. Here is a short clip of Nicholas Crosskill spearfishing at Dassen Island. Dassen Island lies ~10km off shore of Ysterfontain on the West Coast. The Island has a lighthouse and a small jetty with a few houses but is mostly home to colonies of penguins, cormorants, and seals. There are a number of shipwrecks strewn across shore line making this a foreboding but exiting place to dive. Every once in a while we feel like we can’t go on, that the body is simply not capable of taking another step or pedaling another stroke, arms to tired to lift that weight or swim that stroke. But guess what, it isn’t. You need to find that fire inside you, dig deep and keep pushing on. Darrell Hattingh over at Oceanic Images has been hard at work creating some stunning new spearfishing statues for us. All the art work has been hand crafted by one of South Africa’s best marine artists’. The replicas and statues are all hand made from resin and top quality paint is used. Wall replicas and statues make ideal gifts. For fishermen and marine enthusiasts, as wall decorations, in pubs, foyers, on office desks and even floating trophies for your local spearfishing or angling club.